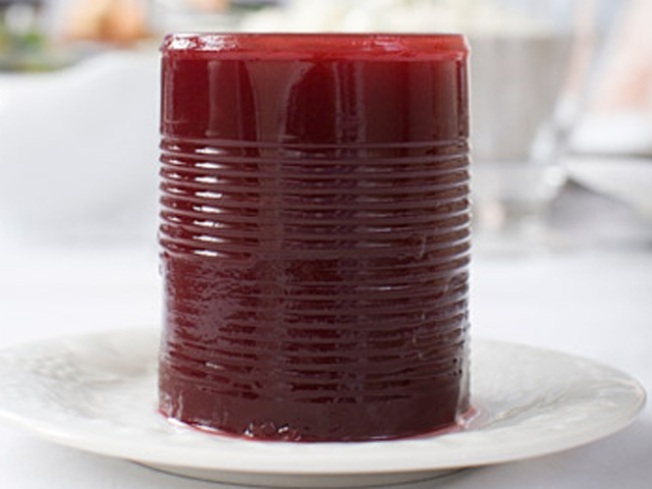 Don't just open the can this Thanksgiving. In a heavy bottomed saucepan, combine the water, vinegar, orange juice and sugar. Bring to a simmer to dissolve the sugar. Add the cranberries , orange zest and salt. Stir to mix, cover and gently boil for about 12 minutes or until some of the cranberries begin to pop open. Stir to mash some of the cranberries and allow their natural thickening to incorporate into the liquid. Note that the sauce will thicken upon cooling so don’t worry if it looks a little too thin. Taste the sauce for sugar content. If more sugar is desired, stir it in to taste while the sauce is still hot so the sugar dissolves. When the flavor is correct to your taste, pour into a bowl, cover and refrigerate until serving time. Using the classic cranberry sauce recipe and procedure above, substitute the orange juice and zest with lime juice and zest. Add in 1 Tbsp chopped fresh jalapenos when the cranberries go into the pot. Using the classic cranberry sauce recipe and procedure above, substitute the orange juice and zest with lemon juice and zest. Add in 2 tsp freshly grated ginger and ½ cup of dried cherries when the cranberries go into the pot.